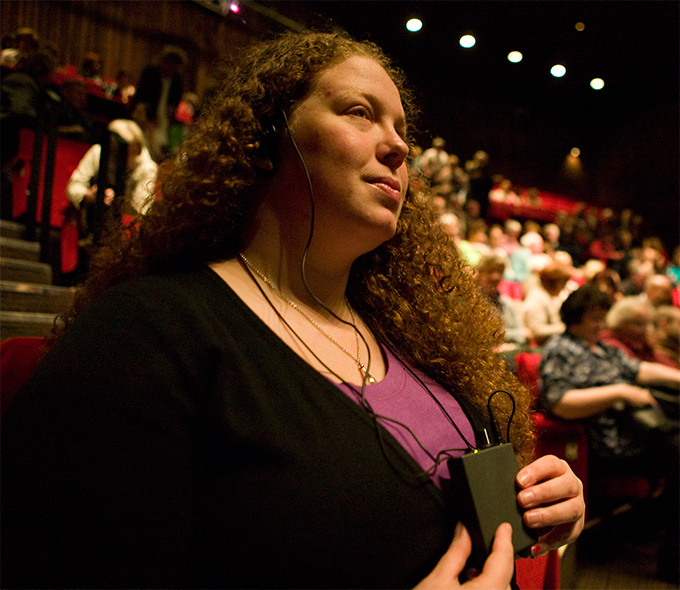 The description is delivered via an individual headset during the quieter moments of a performance and therefore only gives essential information that a blind or visually impaired person might miss. Programme notes are available in advance in audio and large print format. 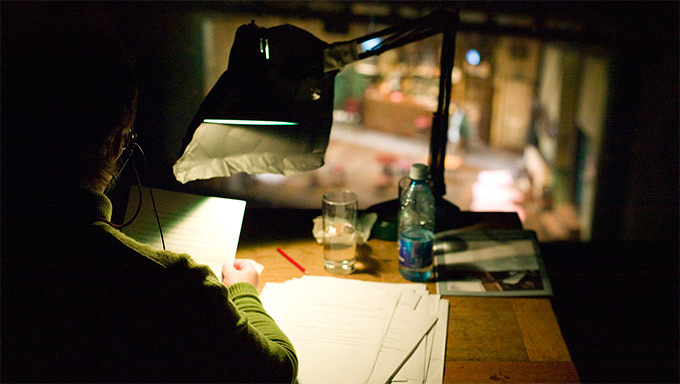 Programme notes give detailed information about the set, characters and costumes. These programme notes are also read by the audio describers 15 minutes prior to the start of the performance. A touch tour is normally organised prior to an audio described performance. Audiences are invited to attend a touch tour of the set, the stage, props and costumes so that audiences with visual impairments can experience and contextualise the stage. Audio description is also available to visual arts audiences with a new device called Discovery Pen. 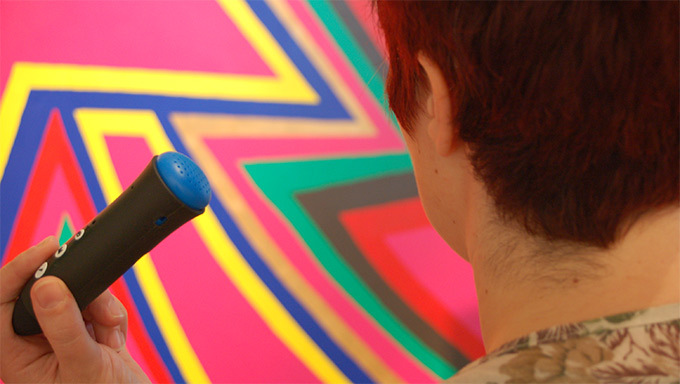 Using the pens audiences who are blind or visually impaired can explore the art works through descriptions, artists’ statements and curatorial statements. The Discovery Pen is a light handheld device, about the size of an ice-cream cone and similar in shape. On the top is a raised dome covered with small perforations. This is the speaker. The pen, about fifteen centimetres in length, gradually narrows to a blunt point. To access the audio, the blunt point of the pen is pressed against data badges throughout the exhibition.